The Goodwood Revival meeting is not only the world’s biggest and most glamorous historic motor racing event, but it is also the only sporting event of any size held entirely to a period theme. Andy has contributed on many levels to a wide variety of builds and attractions at the Revivals since the inaugural event in 1998 and none more extraordinary than the Incredible Create-A-Car Competition. 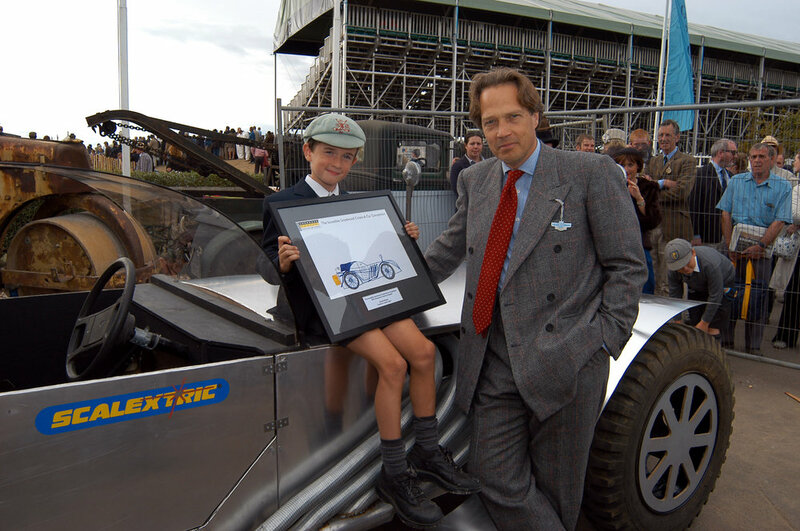 Conceived as a way to inspire children and involve them intimately with the event, the Incredible Create-A-Car Competition was a design and drawing event staged initially at the earlier Goodwood Festival of Speed. Open to children up to 12 years old, entrants were required to design their dream car for £1 a time. 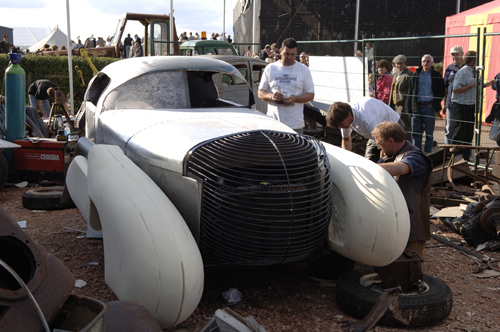 A winner was then chosen by Goodwood, and that car was built, from scratch, at that year’s Goodwood Revival meeting as part of a theatrical installation called The Scrapyard. The Scrapyard was a faux 1960s-inspired set-build (created substantially by Dance), which was designed to look like a real scrap yard from the period. Yet from within its confines, and in full view of the Revival’s 150,000 visitors, Dance’s team would build the winning Create-A-Car entry from the child’s original drawing. Amid a frenzy of panel-beating and welding, tool-wealding and testing, and with all components sourced from within the Scrapyard, the build was a truly race a against time. Because it had to be completed for the Prizegiving ceremony at the end of Sunday. There, legendary racing driver, Sir Stirling Moss, was scheduled to drive the winning car, with its young designer next to him in the passenger seat, around Goodwood Motor Circuit - truly every child’s dream come true. Four Create-A-Cars were built by Dance at the Revival over 4 consecutive years. All of them were successfully completed in time. All of them Stirling drove without a hitch.